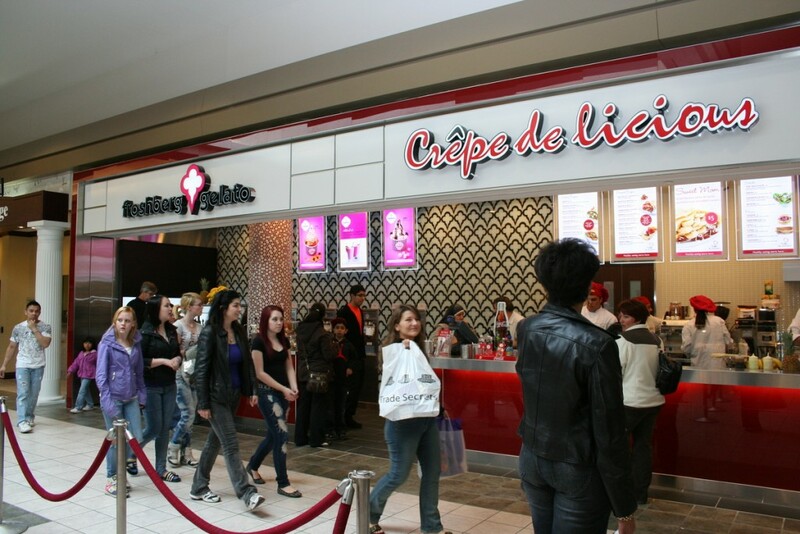 Many people gathered to celebrate the grand opening of Crepe Delicious and Froshberg Gelato at the Cambridge Centre on May 7th. With an in-mall musical performance by Canadian Idol Scotty Newlands, $1 Nutella crepes and half-off on gelato all day, it was a popular event! They offer both sweet and savoury crepes – try the veggie one for a taste explosion! The gelato is absolutely amazing, somewhat like soft serve ice cream but with a flavour like nothing else. Try the cheesecake or, if you like kettle corn, the salted caramel – you won’t be disappointed!